note: the price and time of transaction information is for reference only. 1. Within 1-3 working days for samples available from our stock. 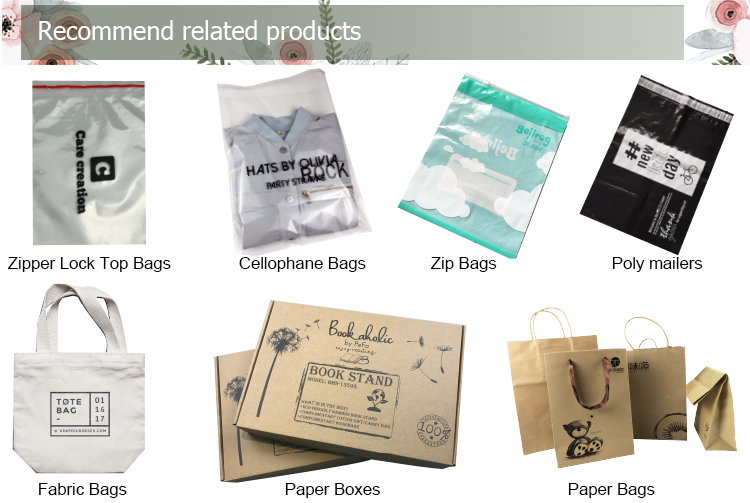 JCBASIC plastic bags material use the new LDPE, HDPE. It is recyclable. Don't worried of the bag quality please. JCBASIC guarantee 100% satisfaction for every customer. And we could provide the Oxo Biodegradable material as well. What’s the practical difference between Low Density (LD), High Density (HD) and Linear Low Density (LLD)? Low Density (LD) is a soft poly material, which makes no noise when crumpled and has a shiny finish. This material stretches easily, therefore making it hard to puncture. High Density (HD) is a tough material that crinkles when crumpled. Due to its’ toughness, it can carry more weight in thinner gauges; however it can also be easily punctured since it does not stretch. High Density (HD) has a matte look and is easy to see through unless the material is black in color, whereas Low Density (LD) is opaque in most material colors. Linear Low Density (LLD) fits somewhere in between the LD and HD materials making it the best choice for groceries. What's product could JCbasic make ? 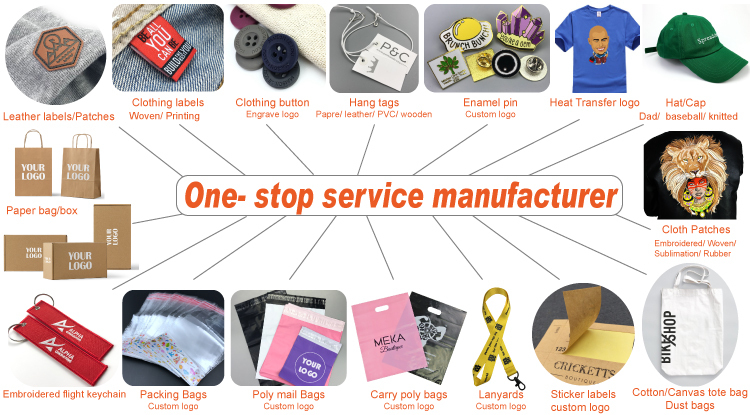 JCbasic provide the one-stop service. Could provide many kinds products. Bags, labels, tags, patches, boxes, hats, Sports series etc. JCbasic is courier bags, OPP bags, bags, plastic tape, supermarket shopping bags, PE ziplock bags, Clothing gift bags and other products specializing in the production and processing company, the company has a sound production plant, a full range of advanced production equipment, professional management and technical personnel. Companies in the production process of continuous learning accumulated experience, has gradually achieved quality S management system, standardization of production operations, Information management network of health management model. In fact, the entrepreneurial spirit of the company, on the basis of quality assurance for business customers with full Italian products and services. Since its establishment, the company has been in good faith "quality assurance, cheap, fast delivery, service integrity," the purpose, For our customers to create greater profit margins.